Fortunately, winter does not have to be a time for the golf game to suffer! In fact, by focusing on the aspects of your game that hurt your score during the season, you can come out of the icebox a better golfer than you went in. 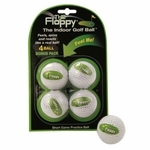 Whether its improving your putting with one of our Big Moss Practice Greens, or working on your swing mechanics with the Swing Speed Radar, or just surviving the winter rounds in comfort with our Coleman Golf Cat Cart Heater!, or finding one of the products below that is right for you, we are here to make this winter a time to improve your game! Enjoy special pricing on these winter survival tools through the end of the month! Reusable gel pack stays warm (or cold) for up to 6 hours! Lasts for years, and great for golf or spectator sports! Ride warm on even the coldest winter days! Easy to install, universal fit! Long time favorite of teaching pros everywhere! 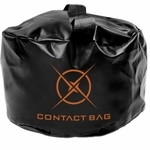 Teaches the feel of a square face and a strong left side at impact! The simplest and most effective warm up and exercise tool we have found. Improve flexibility and body position with one great product! The simplest and most effective hand exercise tool we have found. Improve flexibility and strength with one great product! 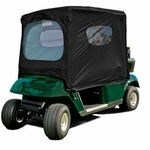 Convenient and portable golf cart windshield. Fits any golf cart! Keeps hands warm and dry - just like you see on Sundays!